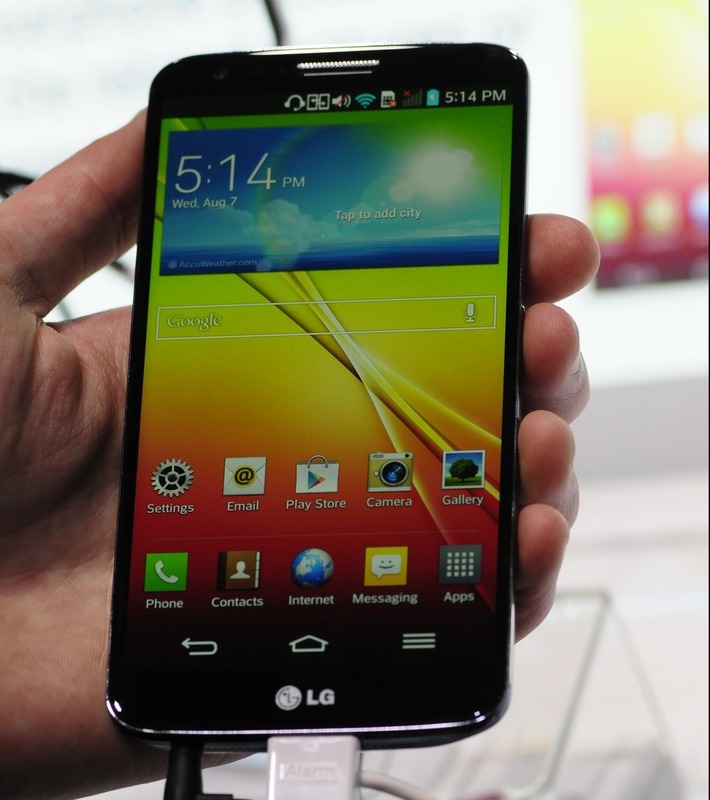 LG has finally unveiled the latest addition to its "G" series line of flagship phones: the LG G2. They are clearly aiming at Samsung with this device, but is it enough to stand up against every other flagship on the market? 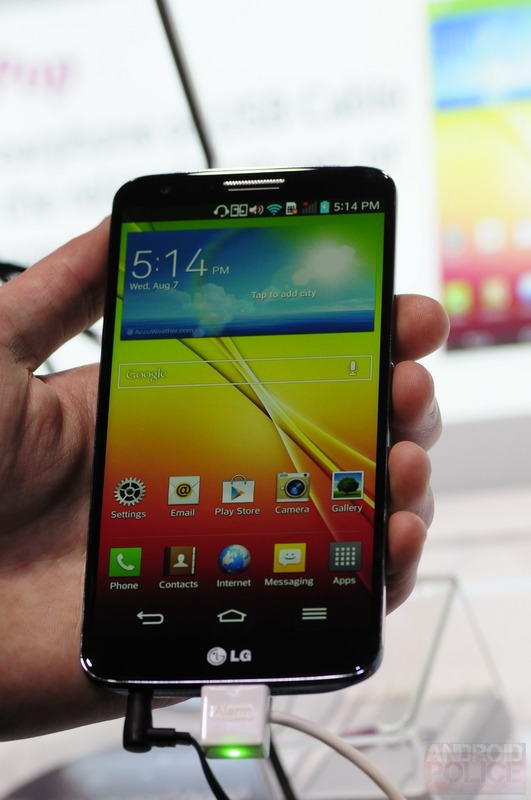 As with all modern smartphones, the screen on the G2 dominates the front face. But LG has taken steps to make this even more prominent - bezel size has been minimized on all sides to make this phone nearly "all screen." Thanks to LG’s use of on-screen buttons, when the display is off, the front of the device looks incredibly sleek. When powered on, the 5.2-inch 1080p LCD is stunningly sharp and bright. On the bottom you’ll find the microUSB port, headphone jack, and speakers, and the top features only a small IR blaster and microphone. The back cover is non-removable and contains a 3,000 mAh battery, and there is no microSD card slot. 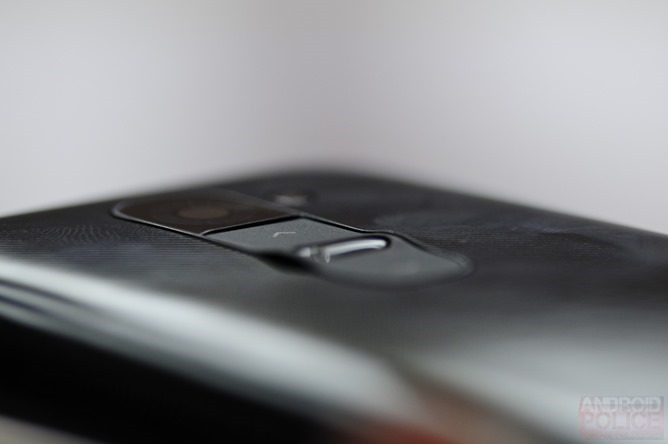 The standout hardware feature of the device is the well-leaked button placement - both the power button and volume controls are located on the back of the phone, right under the camera module. LG believes that this is a more natural location for the buttons as it's where your index finger rests when talking on the phone (as little as that may be). 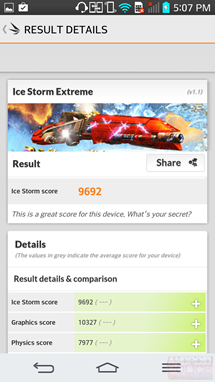 This creates an interesting situation and sets the G2 apart from other high-end Android devices. 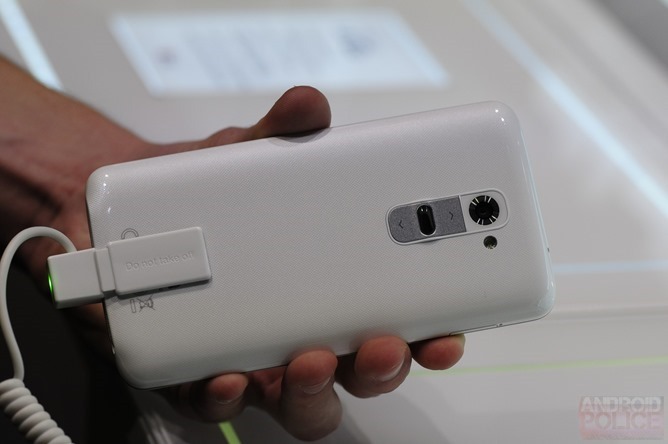 The sides are completely clean without any breaks for buttons, and the volume buttons can be used for shortcuts - volume up can launch LG’s QuickMemo app and volume down can launch the front-facing camera. Double tapping the screen when the phone is locked will turn it on (a feature referred to as “KnockOn”), negating the need to feel around for the power button on the back. Other than this, the design of the device is fairly non-descript. The whole thing is coated in shiny plastic that picks up fingerprints with ease. 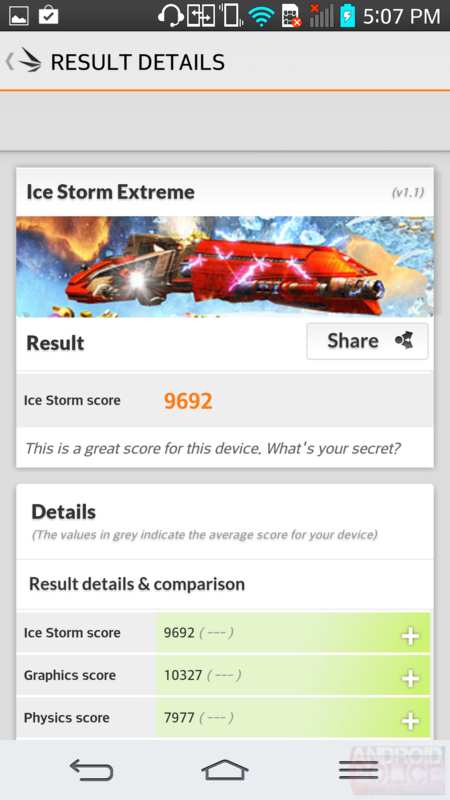 The G2 runs Android 4.2.2, but it is certainly not obvious at first glance. For better or worse, LG’s custom skin has touched nearly every part of the operating system. It feels a bit bloated, but this comes with the benefit of having tons of features and customizability. The aforementioned KnockOn feature is one of the most convenient, but the G2 also includes a sort of multi-window functionality called Slide Aside, Guest Mode, a universal remote app call QuickRemote, and “Plug and Pop,” a feature that activates whenever headphones are plugged in that presents a list of shortcuts to media apps you may want to use. 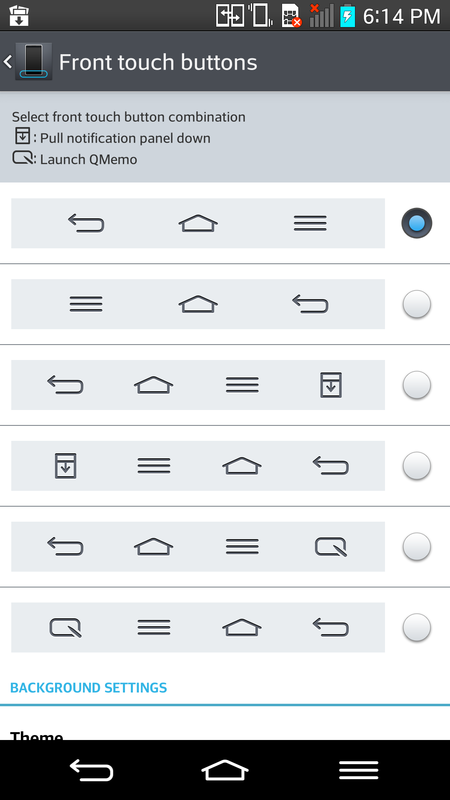 It seems a little overwhelming, but most of these do seem to have real use cases, and can also be disabled if you have no intention of using them. 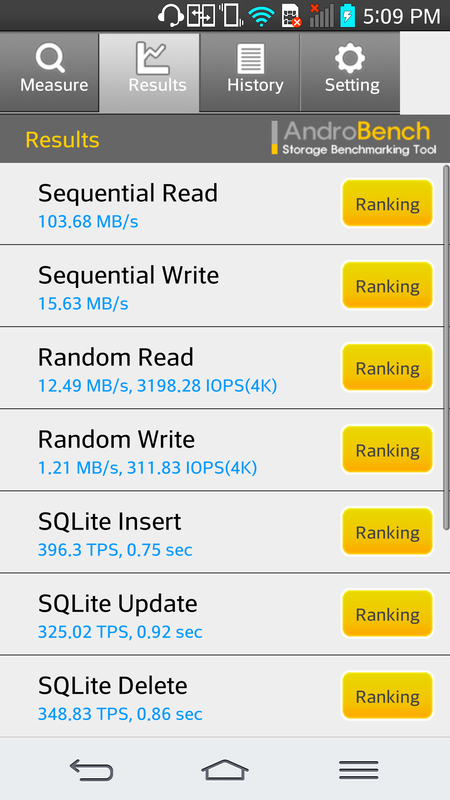 A 2.26GHz Snapdragon 800 processor powers the device, and for the most part it seems as fast and smooth as any other flagship. Even with a myriad of apps open most actions remained lightning fast. However, a few actions randomly seemed to lag, although whether this is due to LG’s heavy software or pre-release bugs I couldn’t determine. 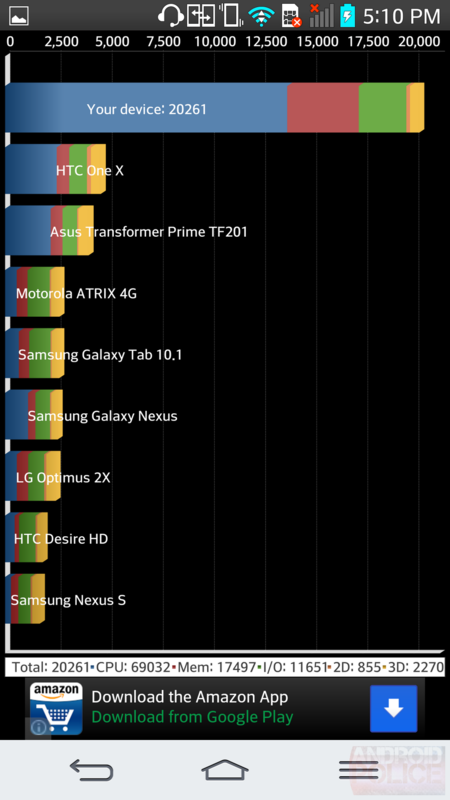 According to the benchmarks, however, the phone is blazing fast. 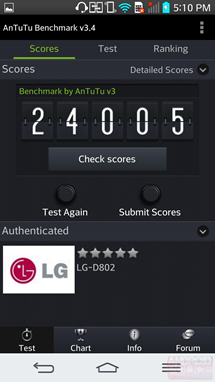 The G2 scored a little over 20,000 on Quadrant, compared to the 12,000 scored by its predecessor, the Optimus G Pro, and a 24,000 in the AnTuTu benchmark. You’ll want to take these scores with a grain of salt, though - the same tests run on other units have produced widely varying results. Droid-Life’s tests yielded scores of around 16,000 and 28,000 for the Quadrant and AnTuTu tests, respectively, while Android Community’s yielded around 20,000 on the Quadrant and 29,000 on the AnTuTu. Bottom line, the exact scores may be inconsistent, but this is definitely a powerful phone. LG spent a good amount of time boasting about the G2’s camera, and from what I saw it deserves the praise. The 13 megapixel camera is enhanced with OIS (optical image stabilization) technology - in short, blur from the shakiness of your hand is reduced. The camera produced consistently clear shots, although I did notice some slowdown when focusing. 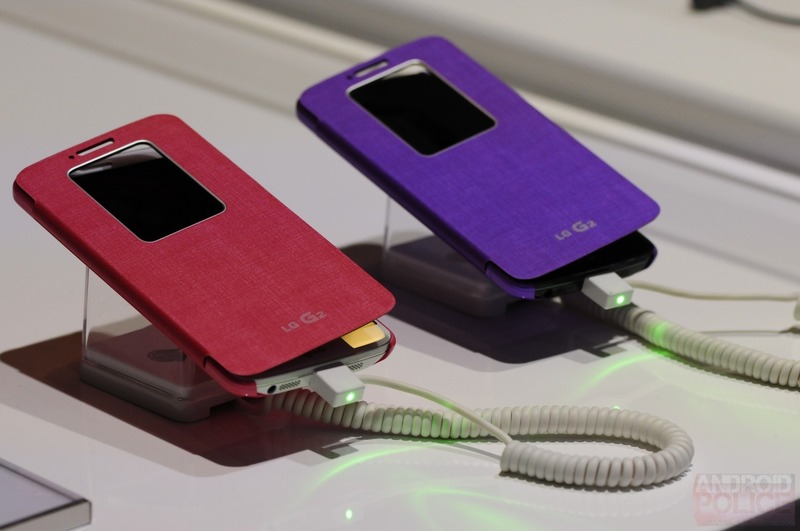 Also shown off at the event was an accessory more than a little similar to Samsung's S-View flip cover for the Galaxy S4, but with even more features. 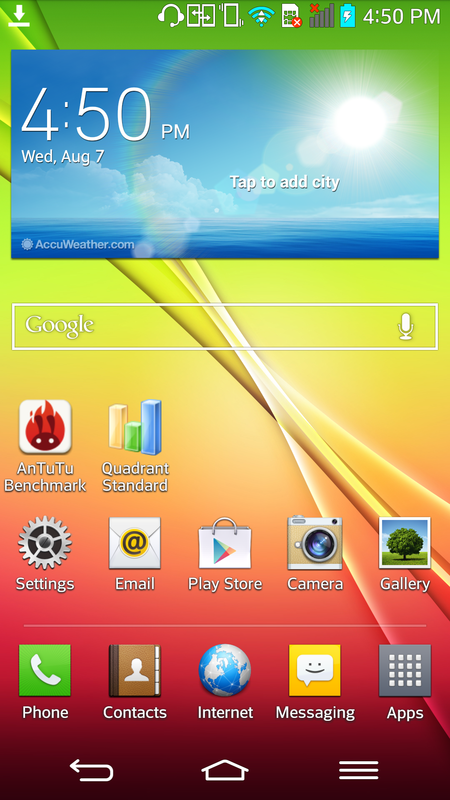 When closed, it creates a small window on the screen that displays the weather and time, but it can also be swiped to display a small music player and a series of different watch faces, in addition to showing incoming notifications. Ultimately, from the short time I had with the device, it seems that LG is more than ready to compete with the likes of the Galaxy S4 and HTC One. The number of unique software features and the streamlined look of the G2 is enough to set it apart, but time will tell if it can compete in market share. No firm launch dates or prices have been announced, but you can expect to see the G2 in the U.S. in mid-September, starting with AT&T. You can watch the full unveiling event on YouTube, here, or in the embedded video below.